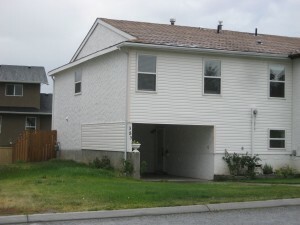 Bright and cheery Upper Sahali half duplex in nice area. Very close to Albert McGowan Park, transit, schools & shopping. Numerous updates include windows, furnace, A/C unit, paint, main bath, kitchen. Three bedrooms on the main with two bedrooms down. One bedroom down & storage area can be converted to a large rec room. Large patio off the main floor lead to good sized back yard. Single car carport with lots of extra parking. RV parking possible.